The process of counting calories has fallen in and out of style many times in the diet and nutrition community. Arguments range from whether all calories are created equal to whether calorie counting itself fosters an unhealthy relationship with food. While the debate will undoubtedly continue, this article seeks to shed light on recent research and the effect of calorie counting. In the nutrition world, we often hear the phrase “a calorie is a calorie.” However, a recent study from the journal Science may suggest that our thinking is flawed. According to the panel’s research, the quality of the calorie being eaten is more valuable than originally thought. Comparing, for example, a bowl of beans and a bowl of cereal in terms of calories is not enough. The two foods may have the same caloric total, but the processing difference in our bodies are completely different. Not only will our body handle the beans differently, but the value to our overall health will be greater. The study indicates that while the calories we eat may seem to be equal, they actually are not. Thus, the researchers question the value of current calorie counting. For further comparison, consider a high fat versus a high carbohydrate diet. Fats take a longer period of time for the body to digest regardless of the total calorie content. If you were to eat the same amount of carbohydrates, you’d feel hungry in a shorter amount of time. The New England Journal of Medicine published a study that indicates the foods we’re eating is just as important as the amount of calories consumed. The research was compiled over a 12 to 20 year time period and followed more than 120,000 men and women in 4-year time blocks. The purpose was to find relationships between weight changes and lifestyle factors. As past research showed, participants with diets high in whole foods such as veggies, fruits, nuts and whole grains had less weight fluctuation. However, lifestyle choices such as a regular workout schedule contributed to less weight gain, too. Participants with opposing diets high in refined and processed foods matched up with faster and larger weight gain trends. Many nutrition experts are pushing away from the notion of calorie counting for another reason: a healthy food relationship. 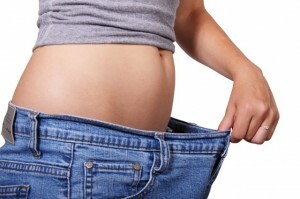 Often, dieters count calories in an effort to curb weight gain. Sometimes the stress of calculating every bite causes the unwanted side effect of an unhealthy food relationship. A study published in the American Journal of Epidemiology indicated a correlation between stress and weight gain. On the whole, the research suggests that the more stress a person encounters, the more difficulty they have maintaining a healthy weight. For some, counting calories may be a helpful way of tracking meals and total calorie intake. However, recent studies show that the very process of counting calories may be flawed. Focusing on enjoying a healthy diet full of fruits, vegetables and whole grains is more important than aiming solely for a calorie goal.